It is time to discover another story and the secrets behind a prizewinning project from the European Enterprise Promotion Awards (EEPA) 2018. The EEPA aim to find, promote and boost projects from across Europe that are working to strengthen and improve the European enterprise ecosystem across a number of categories. Today we travel to Portugal to meet the 2018 winner of the “Supporting the development of green markets and resource efficiency” category. The “Carbon-zero Living Lab Matosinhos” project was the first to win in this category after it was temporarily suspended in 2017. The “Carbon-zero Living Lab Matosinhos” tests sustainable and innovative solutions, products and services to foster a local carbon market in an industrial coastal municipality. Local residents and businesses are encouraged to develop and propose projects, which are then implemented and made available for municipal use. The local carbon market uses CO2 emissions credits gained through the adoption of sustainable solutions such as bike sharing, sustainable lighting or artificial intelligence applied to building management. The credits can be exchanged for goods and green services and are an incentive for sustainability in the municipality, which previously had a high carbon footprint. How did you first hear about the national competition and why did you decide to enter? The Municipality of Matosinhos was contacted by CEiiA – Centre for Engineering and Product Development, and jointly we decided to apply to the EEPA 2018 with the project “Carbon-zero Living Lab Matosinhos” due to the creative and innovative characteristics of the initiative. The information about the national competition was provided by IAPMEI by e-mail and through their website and social networks. How did you prepare your application? The application was prepared in collaboration between the Municipality of Matosinhos and CEiiA, with contributions from other project partners. IAPMEI gave us a lot of strong support throughout the process. What was it like to win the award? It was a great honour to win this award. It is perfectly aligned with our strategy to transform Matosinhos into an intelligent, sustainable and inclusive city. Winning is also a recognition of the work the Municipality of Matosinhos is doing to benefit its companies, organisations and citizens. How did winning the award impact your work? 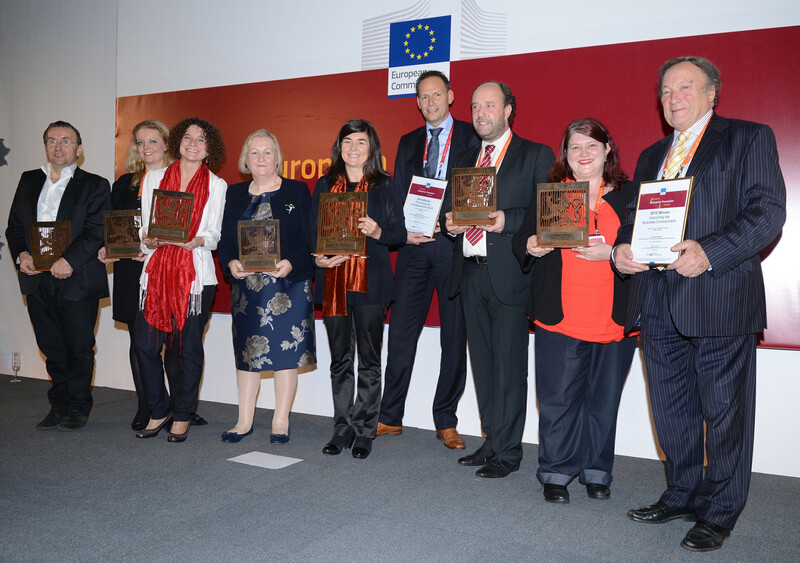 The European award was very important for both national and international visibility to the project. This recognition is a relevant tool to promote the attractiveness of the city of Matosinhos for talents, tourists and investments. Moreover, the “Carbon-zero Living Lab Matosinhos” focused on the development and testing of low-carbon solutions in a specific area of the city, with the final objective being the replication of these solutions in other parts of the territory, and even exporting them to other cities and regions in Portugal and abroad. The award represents an opportunity to disseminate the project and increase this replication potential. Why should others enter EEPA 2019? What advice would you give them? Participation in EEPA is a good opportunity to share experience and good practices with other European organisations, and to become aware of innovative and creative initiatives that are being implemented in Europe. The “Carbon-zero Living Lab Matosinhos” is part of an integrated strategy to promote the decarbonisation of the municipality. We will continue the development of this project, enlarging its scope in terms of partners, solutions to be tested and users. Read about Matosinhos in the EEPA 2018 compendium and keep coming back to the News Portal for further EEPA updates! Only two more categories of EEPA 2018 shortlisted projects to present, and today we are finding out about the green and ecological projects. Last year the Supporting the Development of Green Markets and Resource Efficiency category was temporarily suspended, but it is back for 2018! This year the competing projects in this reinstated category come from The Netherlands, Portugal and Slovakia. Don’t forget to read about the shortlisted projects in Category 1: Promoting the Entrepreneurial Spirit, Category 2: Investing in entrepreneurial skills, Category 3: Improving the Business Environment and Category 4: Improving the Business Environment. The HAS Food Experience, run by the HAS University of Applied Sciences, acts as launch platform for innovative projects in the food sector. This includes promising food concepts with social impact, and the further development of socially relevant projects in the food sector. The HAS Food Experience also works to stimulate innovation in food and profile start-ups and businesses established by HAS students. During the past 10 years, over 499 food projects have been presented at the HAS University College, and more than 40 promising concepts have become start-ups or entered the market, of which 80% are still successful. The Matosinhos Carbon-zero Living Lab tests sustainable and innovative solutions, products and services to foster a local carbon market in an industrial coastal municipality. Local residents and businesses are encouraged to develop and propose projects, which are then implemented and made available for municipal use. The local carbon market uses CO2 emissions credits gained through the adoption of sustainable solutions such as bike sharing, sustainable lighting or artificial intelligence applied to building management. The credits can be exchanged for goods and green services and are an incentive for sustainability in the municipality, which previously had a high carbon footprint. The Zelený bicykel project is a bicycle sharing system focusing on smaller cities in Slovakia that are uninteresting for large bike-sharing companies. The main objective is to provide citizens with an environmentally friendly, healthy and economical transportation alternative for shorter distances across their cities. The project also aims to educate citizens on leading a healthy active lifestyle and improve their overall quality of life and environmental consciousness. The initiative has also resulted in numerous partnerships with several institutions including secondary schools and businesses, ensuring extensive involvement across different demographics of the city communities. Keep coming back to the Portal to meet all of the shortlisted projects and don’t forget to follow all the updates to find out who wins in Graz at the SME Assembly 2018. EEPA – The European Enterprise Promotion Awards, recognises outstanding projects from across Europe that are working to support entrepreneurs and small businesses across six different categories. This year the fifth category of the EEPA “Supporting the Development of Green Markets and Resource Efficiency” is back after a temporary suspension in 2017. This category recognises initiatives that support SME access to green markets and help to improve their resource efficiency through, for example, green skills development and matchmaking, as well as funding. Come back to Promoting Enterprise every week to discover the national winners across the other five EEPA categories: Promoting the entrepreneurial spirit, Investing in Entrepreneurial Skills, Improving the business environment, Supporting the internationalisation of business and Responsible and inclusive entrepreneurship. Want to know who will be judging the 2018 projects? Meet the EEPA 2018 Jury here on the Portal! Green Projects – EEPA 2018 is looking for you! The European Enterprise Promotion Awards (EEPA) are still open for nominations and entries, and this year with the re-instatement of the ‘Supporting the development of green markets and resource efficiency’ category, which was temporarily suspended in 2017, there are even more prizes to win! So what is this category about? 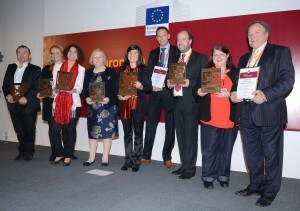 The ‘Supporting the development of green markets and resource efficiency’ category is one of a total of six categories, and recognises initiatives that support SME access to green markets and help to improve their resource efficiency through, for example, green skills development and matchmaking, as well as funding. Interested in applying for this category? Check your national submission deadline and contact your national coordinator today! 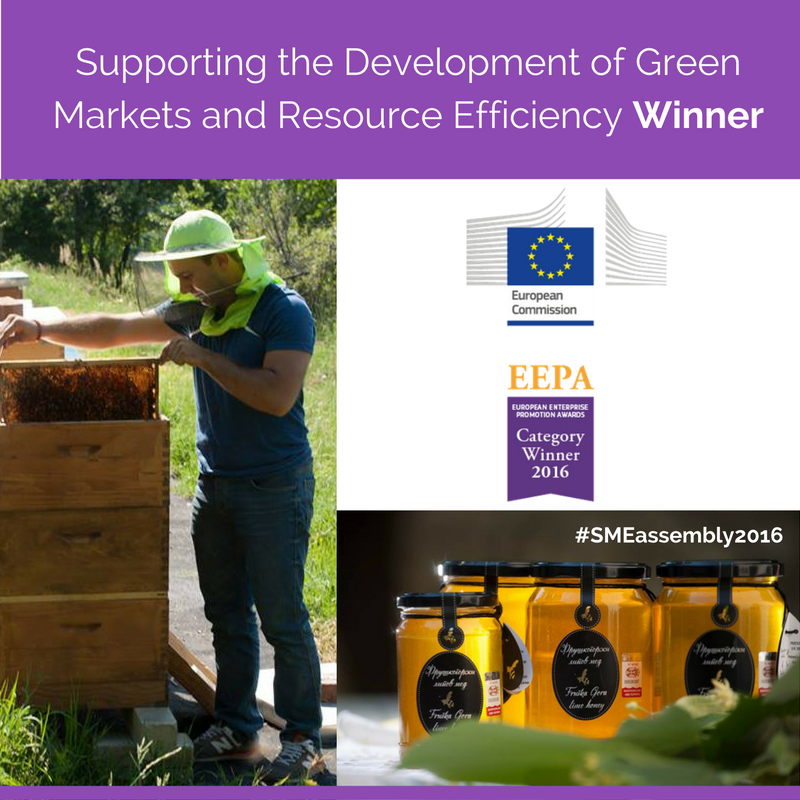 Beekeeping and sustainable development can be a winning combination, as seen with the success of ‘Lime Trees & Honey Bees’ at the European Enterprise Promotion Awards (EEPA) 2016. ‘Lime Trees & Honey Bees’ triumphed in Category five “Supporting the Development of Green Markets and Resource Efficiency” with a project promoting sustainable development through beekeeping in the Danube Microregion of Serbia. This interview gives us an insight into their application journey, their advice for EEPA 2017 applicants and what to expect from the project team in future. How did you first hear about the national competition? We first heard about the national competition through a public notice on the web site of our national EEPA coordinator, the Republic of Serbia Ministry of Economy. Their experience and support was invaluable during the preparations, especially because it was the first time we were applying. Why did you decide to enter the national competition? The Local Economic Development Office (LED Office) team prepares, supports and monitors the implementation of a significant number of projects regarding local economic development for the City of Novi Sad. The moment we found out about the competition we knew we had to apply with the project “Lime Trees & Honey Bees for Sustainable Development of the Danube Microregion”. It already had outstanding results in supporting entrepreneurship in a not so commonly exploited field but a significant one for the entire ecosystem. How did you go about preparing your application? From when the project was first created and implemented by the LED Office team, to filling in the application, we were sure that the “Lime Trees & Honey Bees” experience was worth sharing. However, the preparation of some supporting materials was challenging since the project officially ended in February 2015. Luckily our enthusiasm about this project once again inspired colleagues from several city departments. 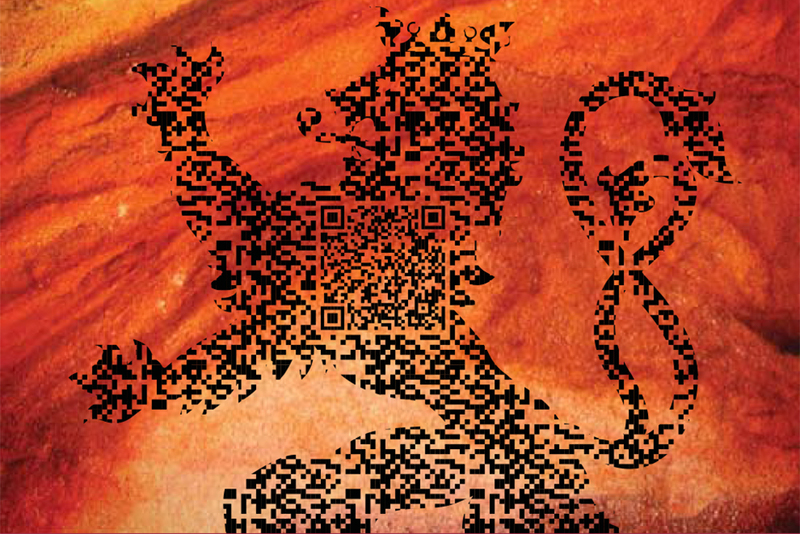 We joined forces and completed the application materials. In general, it was rather joyful remembering all the hard work on this project and the great results and we believe that is what made our application stand out. Winning the award was a complete surprise! Of course we were secretly hoping for it, but we were also aware that the competition was very strong. Even on a national level we had two winners, the other competitor from Serbia was SEE ICT’s project “We know we can”. Therefore, we thought being on the shortlist was already a success. We were competing in category number five “Supporting the Development of Green Markets and Resource Efficiency” and, as the time was passing by, we were completely focused on the ceremony, enjoying the presentations and great organisation of the EEPA team. Hearing the name of our project being announced as the award winner was an incredible moment. It was overwhelming and exciting, but above all such great recognition for everyone who had worked on this project and supported it. How did winning the award immediately impact your work? 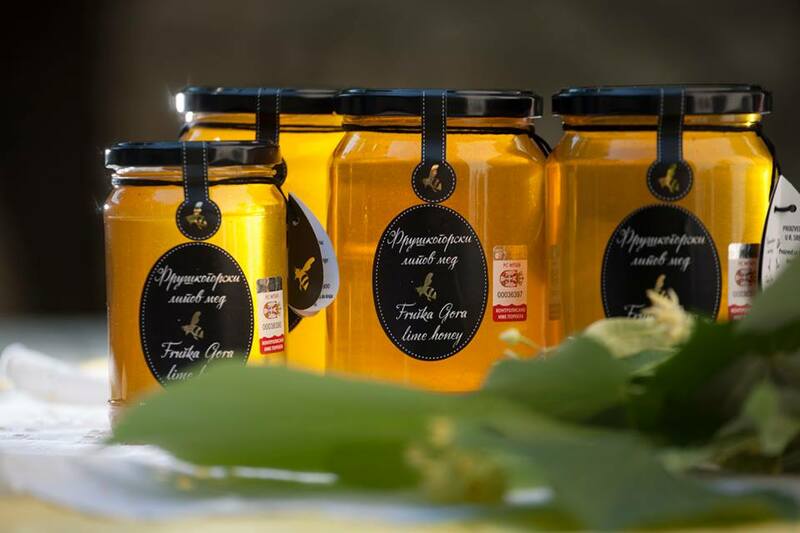 One of the main reasons for our application was to further support the producers of Fruska Gora lime honey and we expected certain publicity thanks to the award, but we were quite surprised by the amount of interest and increase in the media coverage by the local as well as the national media. This boosted the interest in beekeeping and quality product Fruska Gora lime honey as we hoped. In addition, work on this initiative and winning the award brought recognition to the City of Novi Sad LED Office, as well as invitations to relevant events. It also strengthened our cooperation with the Ministry of Economy on supporting entrepreneurship. What kind of response did you receive? The reactions were very positive from the general and professional public. The significance of EEPA was clear despite the fact that in most cases it was introduced for the first time. We have used the increased interest of the Serbian national and regional media to promote Fruska Gora Lime honey and beekeeping as an ecologically sustainable business as much as possible. We hope that the success of the City of Novi Sad in the EEPA competition will inspire others to create innovative projects on the subject of SME development and to enter the EEPA competition. Can you already see a long-term impact or do you have any expectations? Why should others enter EEPA 2017? What advice would you give them? Currently we are working on Horizon 2020 projects, Cross-border-cooperation IPA Hungary-Serbia and IPA Croatia-Serbia with special emphasis on SME development. We will continue our work on improving the business environment and encouraging faster economic development of Novi Sad and expect to achieve even better results in future. 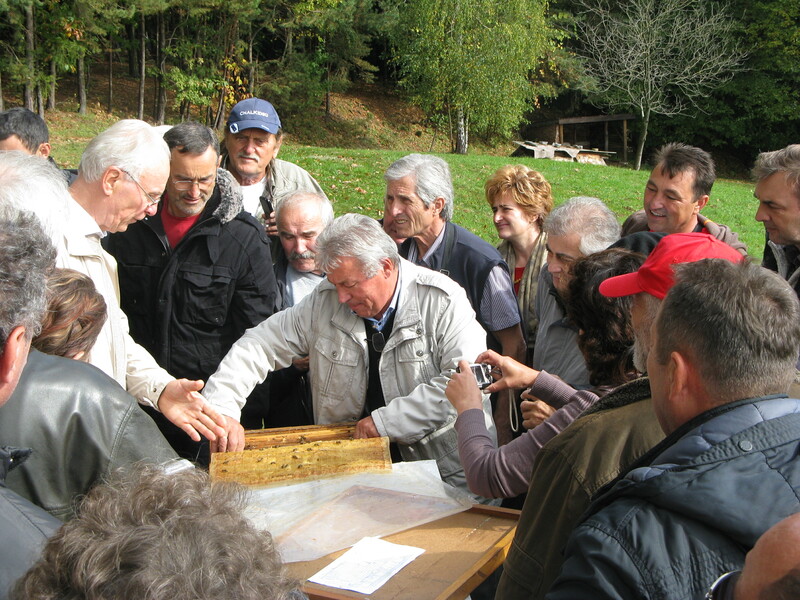 As for the “Lime Trees & Honey Bees” we expect that beekeeping associations will continue to follow the guidelines set within the project, use and expand acquired knowledge and skills, and increase the market share of the Fruska Gora lime honey, an exceptional high-quality product, typical of this area. The Category 1- Promoting the Entrepreneurial Spirit, the winner was Lyon Ville de l’Entrepreneuriat (Lyon City of Entrepreneurship) from France. This initiative is a network of 46 organisations and 200 experts from across the region, working to promote the entrepreneurial spirit more widely, increase the number of businesses created and improve the robustness of new businesses. Each year, the network provides support to between 10,000 and 12,000 businesses and entrepreneurs, with 17 “access points” providing assistance, information and guidance. Experts provide support on the creation, takeover and handover of businesses and on aspects including how to grow or fund a business, start up and training. In Category 2 – Investing in Entrepreneurial Skills, the prize went to Enterprise Educators Academe from the United Kingdom. This project has created the world’s first internal, accredited, enterprise educator training programme. The training and support of over 600 staff of all disciplines to embed enterprise skills across the university curriculum has been at the heart of the programme. In the first two years alone 21 000 students were reached and over 2 000 freelance businesses created. Business and public sector projects projects benefited from student support resulting in an economic impact valued at over EUR 4.4 million (GBP £4 million). In Category 3 – Improving the Business Environment, the category winner was Portuguese project Leader SME programme. This entry annually rewards SMEs with the best financial performance and risk levels, as viewed by IAPMEI and Turismo de Portugal. The award offers public recognition of their successful growth strategies and competitive leadership, and winners benefit from more favourable conditions for accessing finance and other specialised business management support. In just eight years, the number of companies recognised has more than doubled from around 3 000 in 2008 to approximately 7 300 in 2015! In Category 4 – Supporting the Internationalisation of Business, it was Human Security Finland that came away the winner. This entry is a national international development and crisis management business network. It assists with the building of partnerships between Finnish companies and experts aimed at assisting developing countries and crisis-hit regions with solutions to support sustainable development. The network combines business, education and research for human security. 100 organisations are now involved in the concept known as ‘crisis business’, which is based on commercialising human security expertise. In Category 5 – Supporting the Development of Green Markets and Resource Efficiency, the Lime Trees & Honey Bees for Sustainable Development of the Danube Microregion project from Serbia took the category prize. It strengthens the competitiveness of beekeeping in the Fruška Gora region and motivates young people to start beekeeping businesses. The project aims to increase the market share of Fruška Gora lime honey by investing in human resources and skills development, improved knowledge through scientific research, education and the introduction of new technologies. In addition, it ran a high-profile promotional campaign to raise public interest and created a marketing plan that changed the ad hoc approach of 8 beekeeper associations to a value-added, branded product, with export potential. In Category 6 – Responsible and Inclusive Entrepreneurship, Dutch project The Rotterdam Business Case (De Rotterdamse Zaak), a work training company where students in higher vocational education and experienced business coaches help support entrepreneurs to improve their business practices and entrepreneurial skills, was the Jury’s winning choice. The project focuses on entrepreneurs who operate below the poverty line and are not financially able to find a solution to their problems. More than 600 entrepreneurs have already been helped through the combined efforts of experienced senior coaches, who act as a sounding board for entrepreneurs, and junior coaches who offer more practical support. Finally, the Grand Jury Prize, which commends the entry that the Jury considers to be ‘the most creative and inspiring entrepreneurship initiative in Europe’, was awarded to Entrepreneurial West Hisingen from Sweden! Originally a competitor in Category 6 – Responsible and Inclusive Entrepreneurship, this project supports the city district’s reputation as a hub of opportunities and entrepreneurship. It covers three projects: Entrepreneurship in education, Start your business, and Develop your business, which provide different styles of support to various groups ranging from schoolchildren, all the way to seasoned business people. We are up to Category 5 of our European Enterprise Promotion Awards (EEPA) shortlist showcase…have you been keeping up so far? This week is the turn of the national winners competing in Category 5 – Supporting the Development of Green Markets and Resource Efficiency. These projects have made it onto the shortlist because of their support for policies and initiatives at national, regional or local level that support SME access to green markets and help to improve their resource efficiency. From renewable energy to sustainable development, the top contenders for EEPA Category 5 are tackling important issues and are definitely ones to watch. 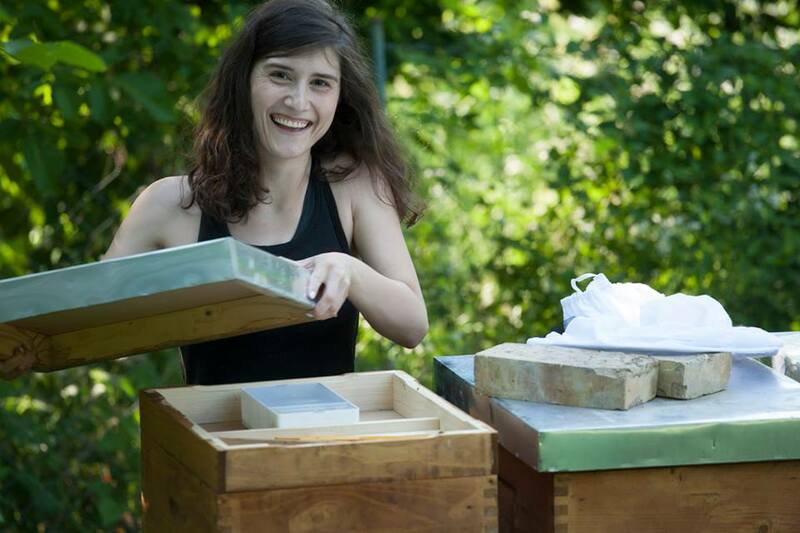 The Lime Trees & Honey Bees for Sustainable Development of the Danube Microregion project in Serbia strengthens the competitiveness of beekeeping in the Fruška Gora region and motivates young people to start beekeeping businesses. The project aims to increase the market share of Fruška Gora lime honey by investing in human resources and skills development, improved knowledge through scientific research, education and the introduction of new technologies. In addition, it ran a high-profile promotional campaign to raise public interest and created a marketing plan that changed the ad hoc approach of 8 beekeeper associations to a value-added, branded product, with export potential. Check out their video to learn more! 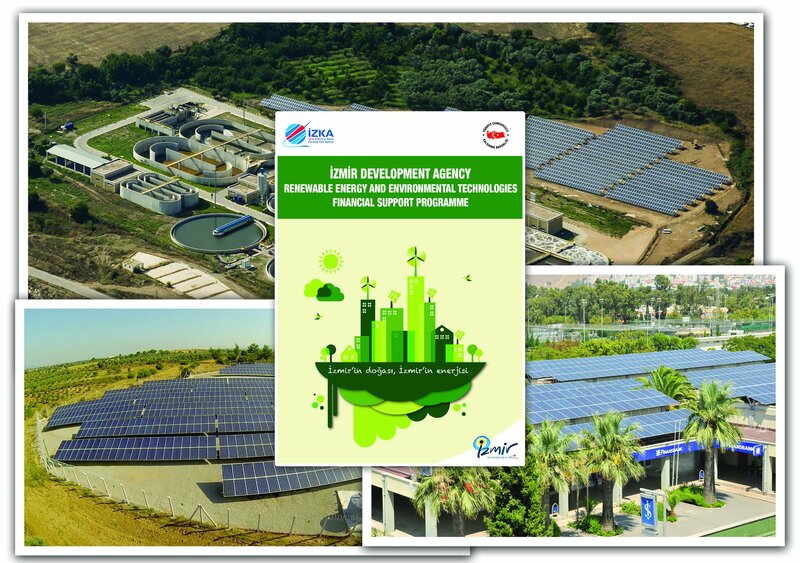 The Renewable Energy and Environmental Technologies Financial Support Programme is the first regional programme in Turkey to focus on renewable energy and environment. Nine projects dedicated to the design and production of renewable energy systems and environmental technologies were supported, as were 18 solar energy, 6 wind energy and 6 hybrid (solar + wind) systems. At the start of the project there were no systems for unlicensed electricity production connected to the grid in İzmir, making the energy capacity achievements of the programme (8.7 MW) all the more impressive. Watch this video to find out more! Category 4: Supporting the Internationalisation of Business national winners. 2016 marks the 10th anniversary of the European Enterprise Promotion Awards (EEPA). In this new feature, we catch up with former EEPA honourees who’ve gone on to do great things since winning the award. 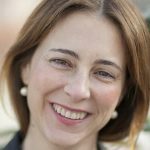 This week, Silvia Fernández-Campa de Luis from the award-winning Biodiversity Foundation at the Ministry of Agriculture, Food and the Environment in Spain reflects on the impact of winning an EEPA one year on…. Organisation Biodiversity Foundation of the Ministry of Agriculture, Food and the Environment, Spain. It’s been a great honour for the Biodiversity Foundation to have been selected as a winner of the 2015 European Enterprise Promotion Awards in the “Supporting the Development of Green Markets and Resource Efficiency” category. This category recognises policies and initiatives at the national, regional or local level that support SME access to green markets and help to improve their resource efficiency through, for example, green skills development and matchmaking as well as funding. The project that we won the award for, the Green Business Network, is the first networking platform in Spain dedicated to green business. Targeting entrepreneurs and investors, the project seeks to promote entrepreneurship in the environmental sector and to encourage sustainable business development. It has already attracted over 7,600 members, including 100 investors and funders. The aim is to facilitate and enhance the efforts of these business and entrepreneurs for a greener, bluer, low carbon and circular economy. We at the Biodiversity Foundation are very proud to have won the EEPA, especially when we consider the other six projects in the winners list. The awards ceremony was really exciting for us. We were very surprised when we received the award because, although we believed that our project was very good, the projects vying for the award in our category were also of a very high quality. So we didn’t expect to be winners at all. We’d like to take congratulate the European Commission for having kept the surprise until the last moment. It made the awards ceremony very thrilling! It’s been a tremendous attainment for the Biodiversity Foundation and an acknowledgement of our achievements to date. It’s had a very positive impact and has resulted in a lot of positive media coverage, which is appreciated by the members of the Green Business Network. It’s also had lots of visibility in the green entrepreneur space. This award not only acknowledges the achievements of the Green Business Network, but has also rewarded the initiatives of its more than 7,600 members. The award has motivated us to continue working towards a more sustainable society and a greener economy. A huge effort has been made to encourage and support people in the difficult task of entrepreneurship. We’ve been working hard, devoting much energy to support the talent of our green entrepreneurs. Some of these projects have become competitive businesses that are creating jobs, while promoting a more sustainable, green, low carbon and circular economy. This award is an important stimulus to continue working. We want to help more entrepreneurs. We want more green entrepreneurs to make their dreams come true, and we want more investors and financiers to join our network. We are proud of the results achieved, which encourage us to continue working for the environment and business creation. Moreover, the Biodiversity Foundation takes this award to be recognition of all the people and entrepreneurs working very hard in developing initiatives and running businesses in the environmental sector. What has been the long-term impact? It’s still too soon to talk about long-term impact, but we’re convinced that winning the EEPA will have an extremely positive impact on the activities carried out by the Green Business Network. In this new, ongoing period, we expect the number of members of the Green Business Network to increase significantly and we’re going to continue promoting the entrepreneurial spirit, supporting green entrepreneurs and SMEs, and stimulating the consolidation of green businesses. The award is a huge boost to achieve all of these goals. More than 7,600 members, including 100 investors and funders. 2 editions of the Green Entrepreneurship Awards. More than 31,000 followers on social media. 34 newsletters have been published. 3 Green Investment Forums celebrated. More than 15 Green Entrepreneurs meetings and Speed Networking events. Development of reference publications about employment and green entrepreneurship. Organisation of the Green Circular Day, a huge event about entrepreneurship and circular economy. As a result of all these activities, members of the Green Business Network have created new green companies. We thought that all this work and its results would perfectly match the goals of the European Enterprise Promotion Awards. How did you go about preparing your application and making it award winning? Preparing the application was quite easy. The EEPA Secretariat provided the application form and information about how to fill it out. We just had to explain and describe the activities carried out in the framework of the Green Business Network. What advice would you give to others thinking of entering? We would highly recommend taking part. It provides the opportunity to learn about projects being developed in other European countries, to meet potential partners, and to learn and exchange opinions and ideas about how to promote entrepreneurship and support the creation and growth of small business. Our experience has been really positive so we can only encourage others to participate by entering. It’s a really good opportunity to show what you’re doing in your countries to promote the entrepreneurship and to help SMEs. To find out more about the Biodiversity Foundation and the Green Business Network, visit the website at redemprendeverde.es or watch the video. The Grand Jury Prize was awarded during the European Enterprise Promotion Awards ceremony, during the SME Week 2015. It is an award that can be given to an initiative from any category, and was given to the entry considered to be the most creative and inspiring entrepreneurship initiative in Europe. We asked Lisboa Empreende/Lisbon Micro-Entrepreneurship, the winners of the 2015 Grand Jury Prize, a few questions about winning this prestigious award. The programme works to support responsible and inclusive entrepreneurship – from helping to develop business plans to advising on how best to obtain funding. 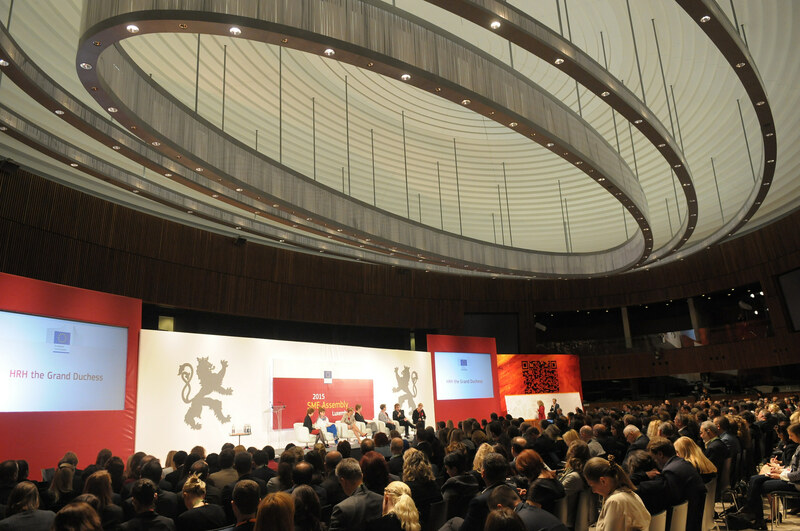 What did you learn from your experience with the European Enterprise Promotion Awards? It was a great experience with lots of visibility in the entrepreneur environment. Taking part in the Ceremony was a fantastic experience, we met some very interesting projects and contacts. We also shared experience, challenges and solutions for the creation and growth of SMEs. What did winning the Grand Jury Prize at the 2015 SME Assembly in Luxembourg mean to you? Recognition (and more motivation) for the project, and also being recognised in Lisbon for the promotion of entrepreneurship and the economic development of the city. Lisbon Micro Entrepreneurship is a programme developed by the municipality to help entrepreneurs to start small business in Lisbon. The idea is to use the institutional power of the municipality to celebrate partnerships with public and private entities in order to promote business in Lisbon, facilitate access to finance and boost entrepreneurship. Since 2013, we have made more than 1000 contacts, worked with more than 200 entrepreneurs with potential businesses and helped to establish more than 70 businesses, creating 160 jobs. The main clients of Lisbon Micro-Entrepreneurship are unemployed people with skills (mostly people with college degrees and work experience), aged between 30 and 50 years old. Mentoring – We help people to work on their business concept; business plans; and coaching through the whole process of the project development. Sometimes, this also includes further mentoring after the business is established. Access to finance – We use partnerships with public institutions, private institutions and banks that permit access to credit products with very special rates. Access to spaces – We help businesses to get access to either public (public offers in parish councils) or private spaces with special conditions (this includes collaborative work space and, business incubators, for example). This award is very important to the project, because it gives it credibility and will help when negotiating new partnerships, particularly with the financial institutions that have better conditions for entrepreneurs. It also allows us to support more entrepreneurs. What advice can you give to other SMEs wanting to take part in the Awards? We would advise other cities and/or regions to have a proactive strategy to support entrepreneurship; create networking among the various players; and partner up to meet the needs of SMEs. It is important to participate in the EEPAs because it gives you the opportunity to meet new projects, potential partners, share and learn from each other about how to support the creation and growth of SMEs. To find out more about Libson Micro-Entrepreneurship, watch this short video. The seven winners of the 2015 European Enterprise Promotion Awards (EEPA) have been announced, with the Grand Jury Prize being awarded to a Portuguese project. The project, Lisboa Empreende/Lisbon Micro-Entrepreneurship, is a programme that works to support responsible and inclusive entrepreneurship – from helping to develop business plans to advising on how best to obtain funding. Lisboa Empreende/Lisbon Micro-Entrepreneurship was set up in 2013 with the aim of invigorating the city’s economy and promoting job creation. It forms part of Lisbon Municipal Council’s global strategy to support entrepreneurship and brings together public, private, local and national bodies to enable anyone to get support for projects. The programme helps entrepreneurs develop ideas and business plans, assists in obtaining funding and provides support on project implementation. The organisation has already successfully set up 50 companies, created over 100 jobs and held over 550 meetings with entrepreneurs. Six other projects from the Netherlands, Ireland, United Kingdom, Estonia, Spain and Germany were recognised for their work on fostering entrepreneurial spirit, improving and simplifying business creation and investing in skills. Projects from Denmark, Malta, Slovenia, and Greece also received Special Mentions from the EEPA jury. The Awards ceremony took place in Luxembourg on 19 November 2015 as part of the SME Assembly, the main event of the European SME Week. Since 2006, the European Enterprise Promotion Awards have rewarded public bodies and public-private partnerships who have shown excellence in promoting entrepreneurship and small businesses. Over 3100 projects have entered during this time, and have supported the creation of thousands of new companies. The awards’ objectives are to create a greater awareness of the role entrepreneurs play in European society and encourage and inspire potential entrepreneurs. This is achieved by identifying and recognising successful activities and initiatives to promote enterprise and entrepreneurship, and then showcasing and sharing examples of best entrepreneurship policies and practices. Portugal – Lisboa Empreende/Lisbon Micro-Entrepreneurship is a successful, inspiring and innovative programme stimulating micro-entrepreneurship in Lisbon through a comprehensive range of measures focusing on disadvantaged groups, while staying open to all future entrepreneurs. Netherlands – ZomerOndernemer changes mind-sets and improve entrepreneurial skills of young people during their summer holidays. The project is based on ‘learning by doing’, and has impressive results with almost ¼ of participants deciding they want to be entrepreneurs. Ireland – Going for Growth encourages female entrepreneurs to be ambitious and supports them in achieving their growth aspirations with a mix of measure encompassing role models promotion, networking and peer-learning. United Kingdom – Creative Quarter aims to support creative SMEs in generating prosperity and creating jobs by developing a highly-skilled local workforce ready to compete in the knowledge economy. Estonia – GameFounders is a global game industry accelerator that aims to support technical teams in developing a product business model. The project has already supported 28 teams from 16 countries, all of whom are still operating. 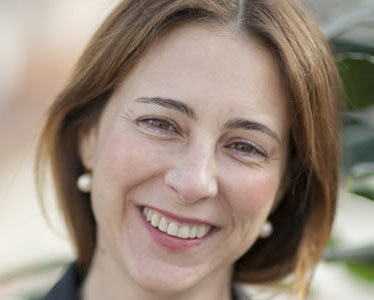 Spain – Green Business Network is the first networking platform in Spain to specialise in green business. It follows a comprehensive approach, including support for start-ups, for business consolidation, for new green business lines of existing companies, and for environmental innovation. Germany – Enterability is a project benefitting people with disabilities. It combines measures relevant for this group with a sound start-up expertise, employing a diversity of tools: seminars, mentoring, or peer-counselling.